The EastLink Great Australian Rally of veteran, vintage and classic vehicles will be held at Cruden Farm, Langwarrin, Victoria, on Sunday 20 January 2019 from 10am to 4pm. 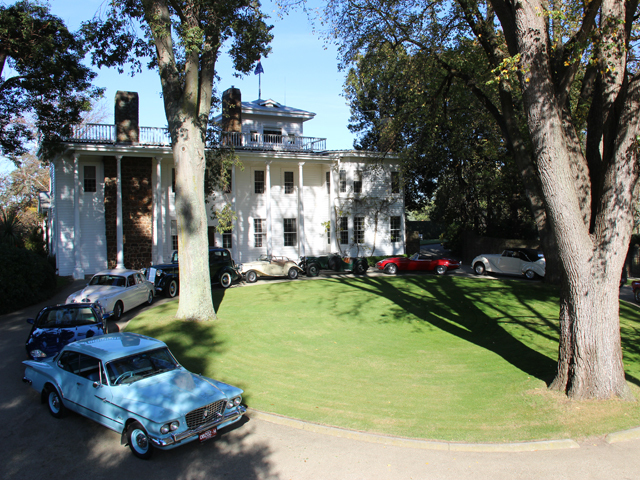 For the first time, the EastLink Great Australian Rally will be held at Cruden Farm, the former residence of Dame Elisabeth Murdoch. The event will raise funds for the Peter McCallum Cancer Foundation for Cancer Research. With easy access from Melbourne via EastLink, the historic gardens of Cruden Farm are the ideal new venue for this nationally important annual rally of veteran, vintage and classic vehicles. EastLink corporate affairs and marketing manager Doug Spencer-Roy said, "EastLink is delighted to support the EastLink Great Australian Rally by promoting the event and its new venue to hundreds of thousands of EastLink customers." The EastLink Operations Centre in Ringwood will also host one of the rallying points for participating veteran, vintage and classic vehicles to meet at 7.30am prior to travelling to the public event at Cruden Farm. The other rallying points will be located in Melbourne, Rowville and Hastings. The EastLink Great Australian Rally is run by the All British Classics Car Club Vic Inc., which is inviting car clubs as well as private individuals to participate in the event with vehicles 25 years or older. Full details including the application form for car clubs and vehicle owners are now available at www.greataustralianrally.com.au. The Club's EastLink Great Australian Rally Organiser, Rex Hall said, "The general public will enjoy a magical day out at the EastLink Great Australian Rally, Cruden Farm, where hundreds of beautifully-maintained vehicles will be on display in Australia's premier showcase of veteran, vintage and classic vehicles." Visitors to the event will enjoy the vehicle displays and Cruden Farm's historic gardens accompanied by jazz music played by the Royal Australian Navy Band Melbourne. 100% of all public entry fees ($20 per person, children under 14 free) and donations are given to the Peter MacCallum Cancer Foundation for Cancer Research.